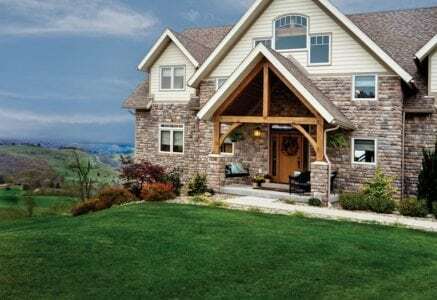 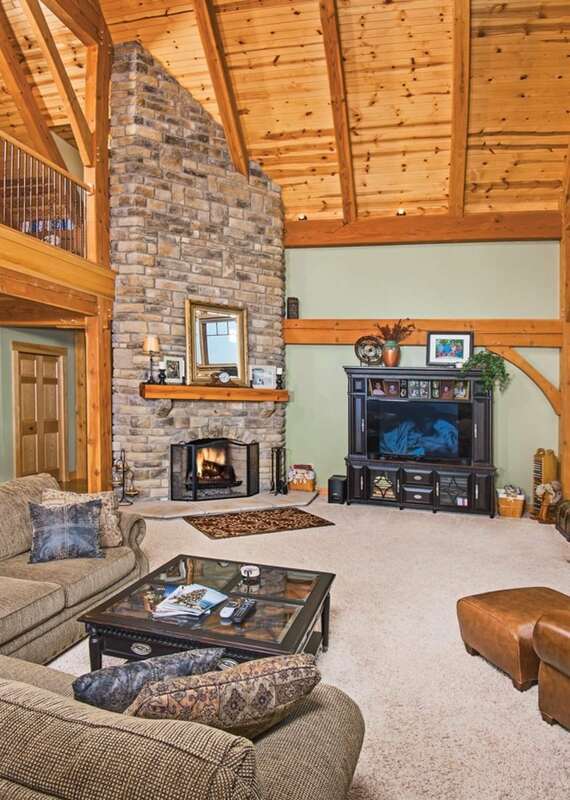 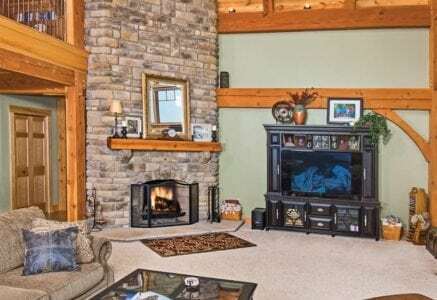 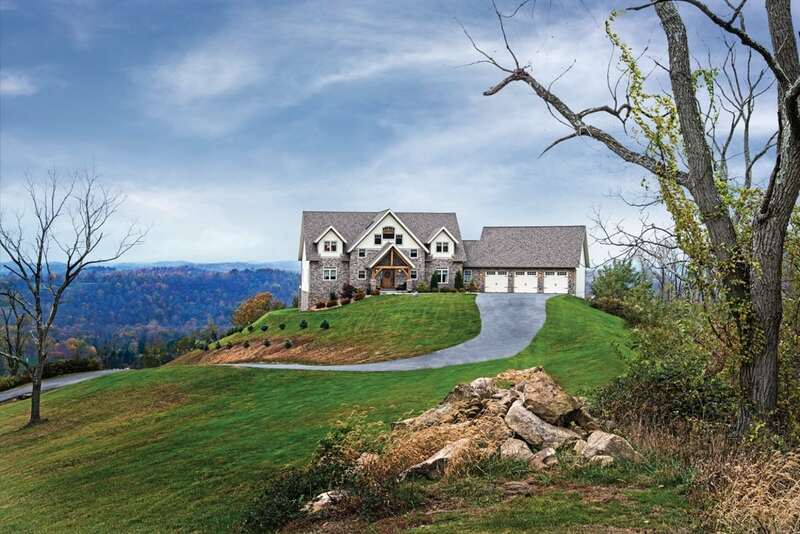 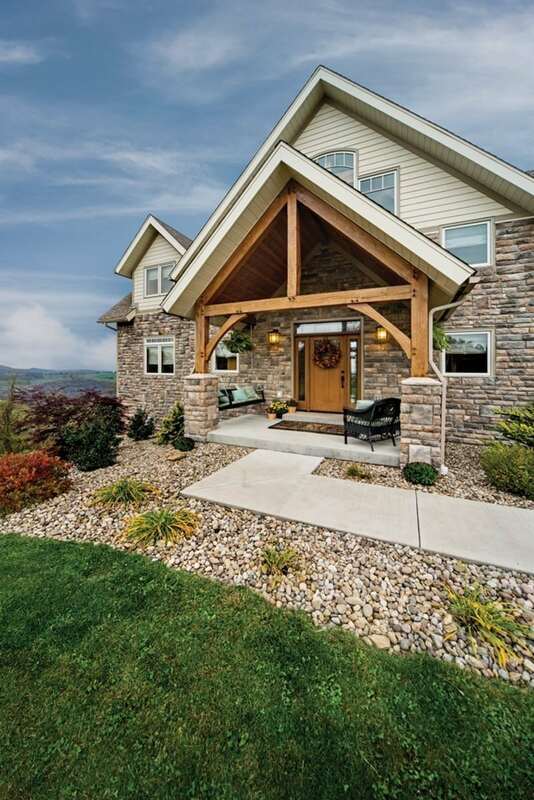 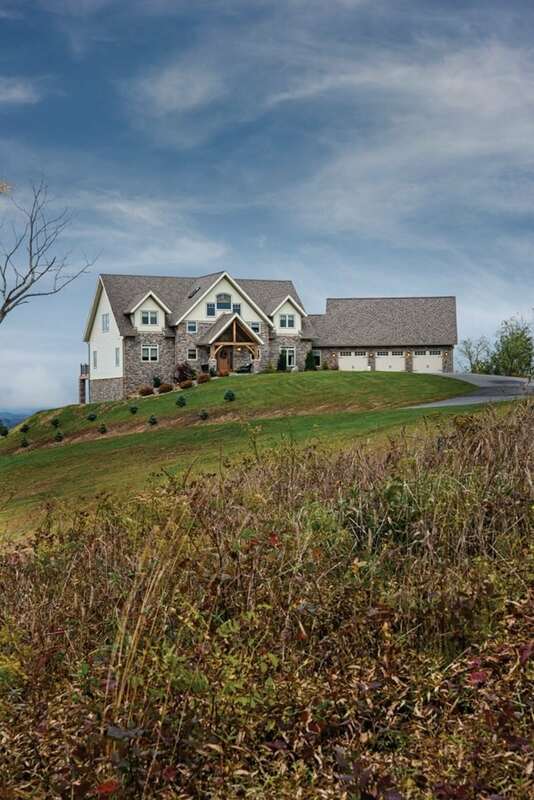 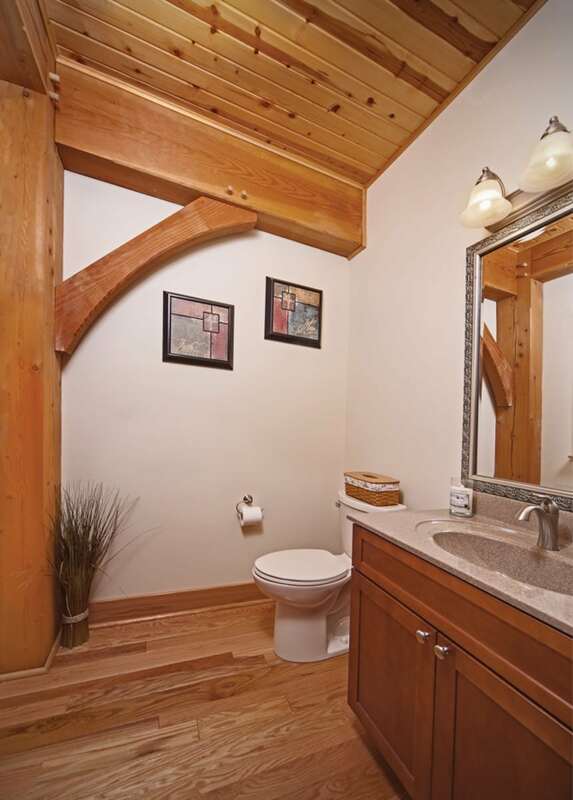 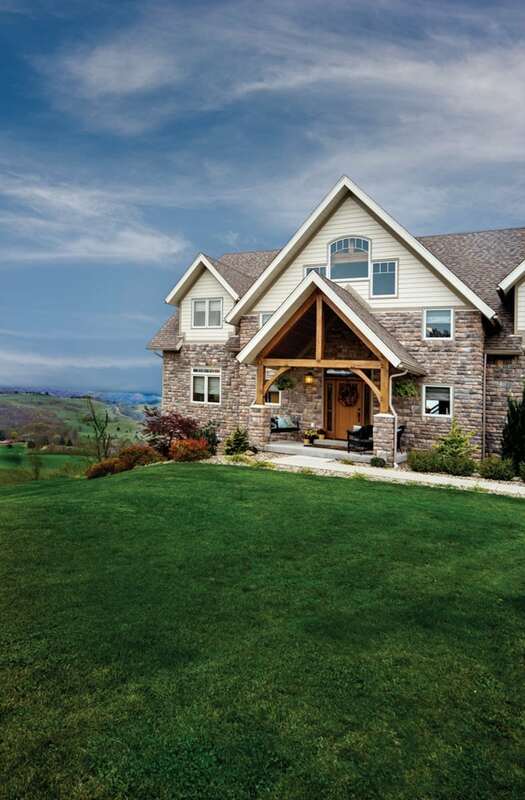 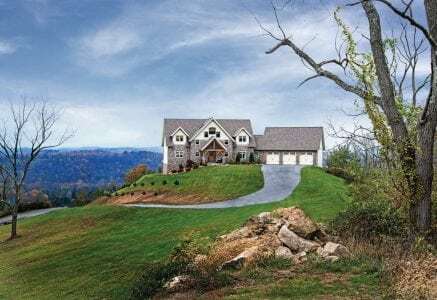 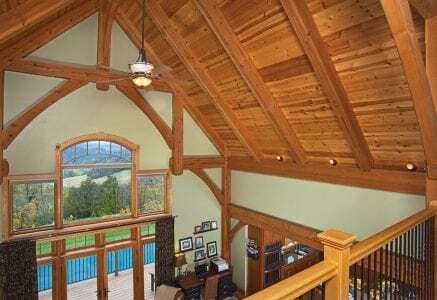 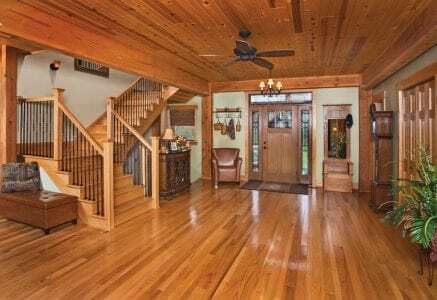 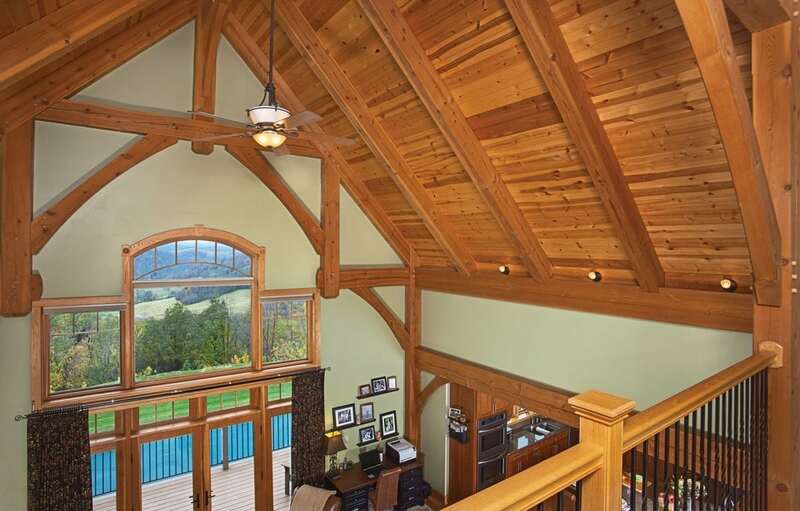 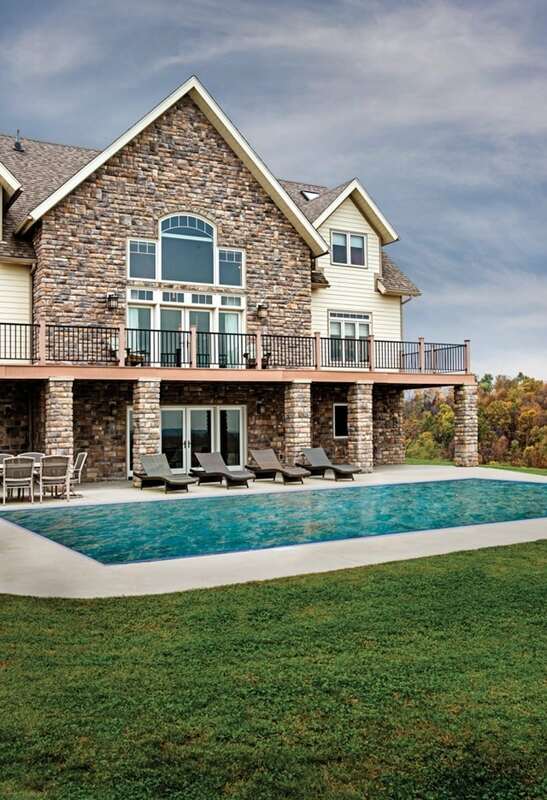 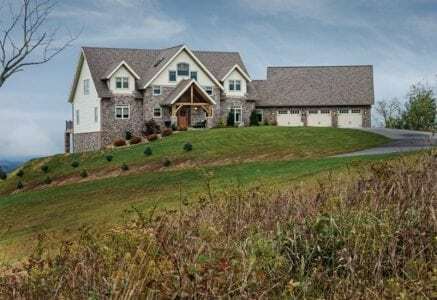 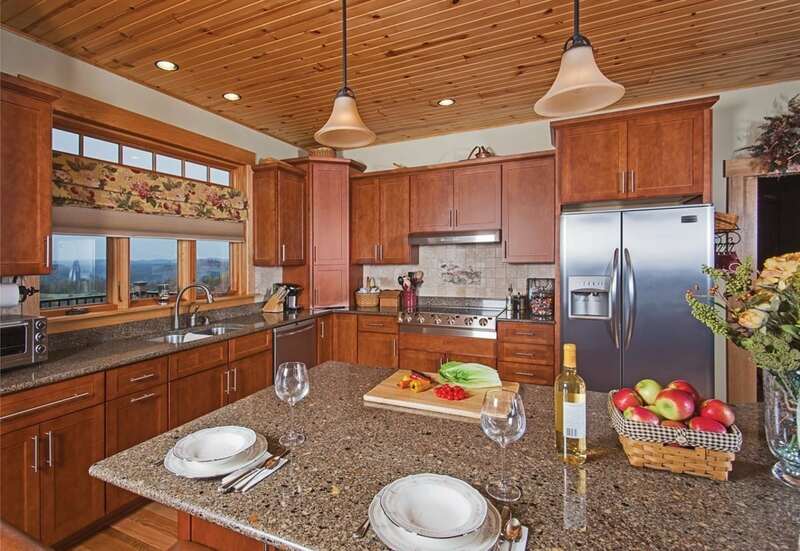 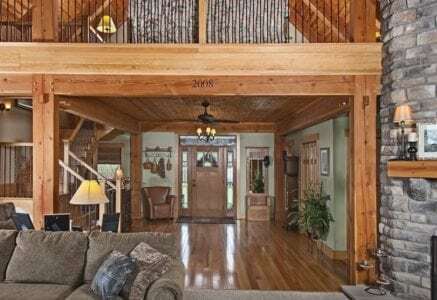 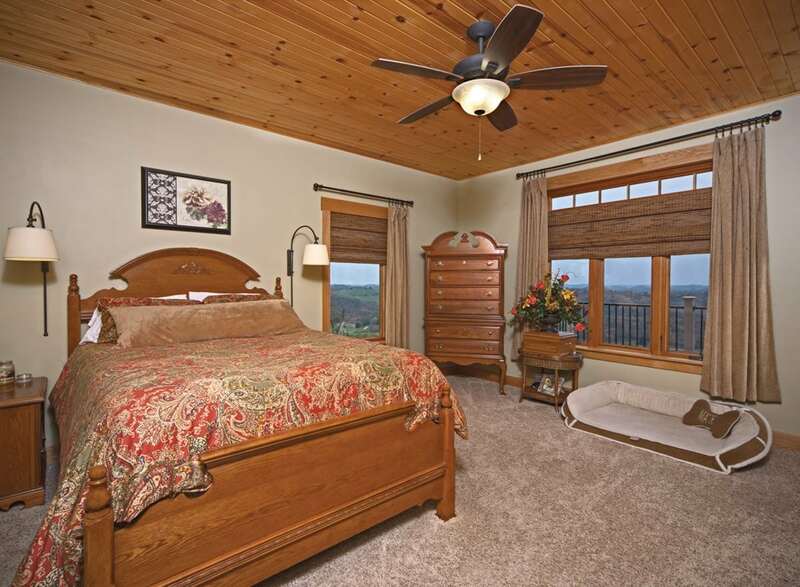 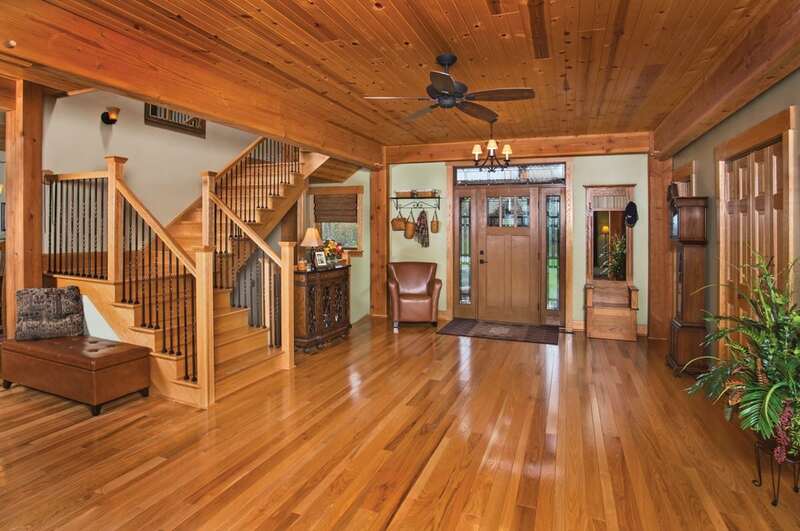 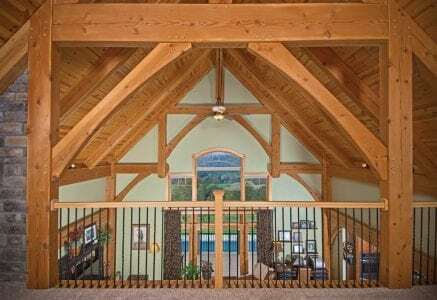 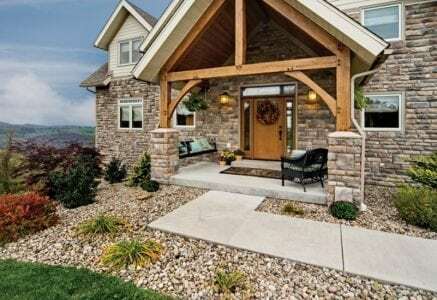 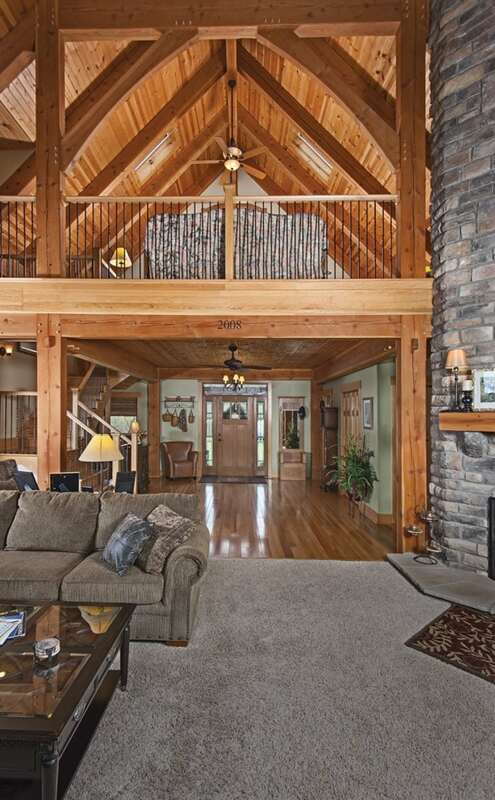 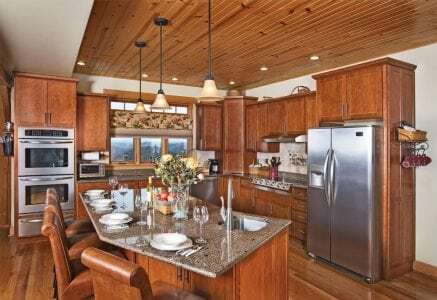 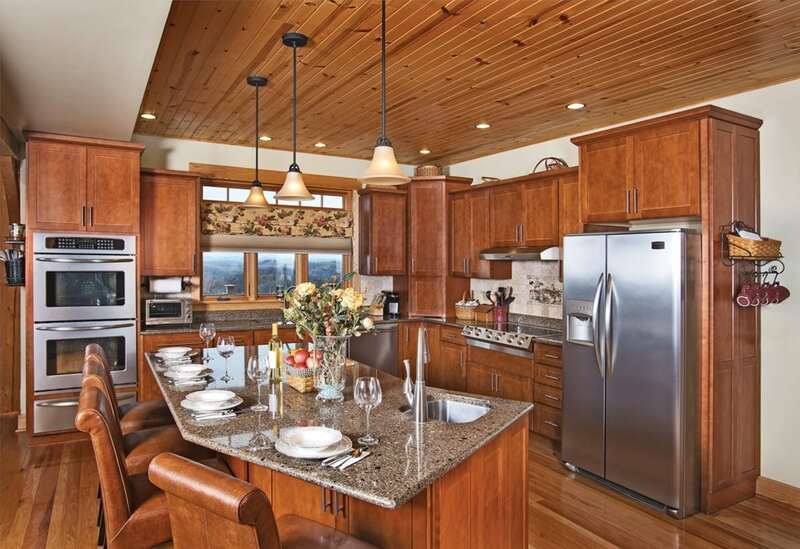 On a hilltop above the valley, this timber frame home has panoramic views of the West Virginia landscape. 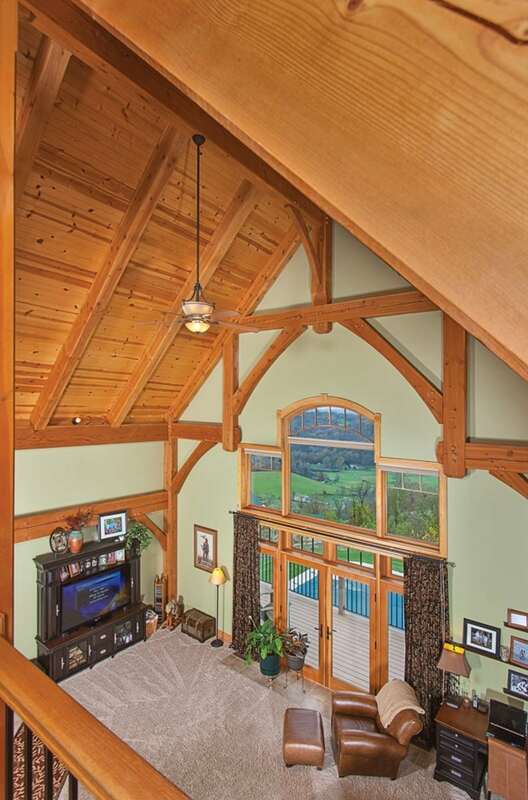 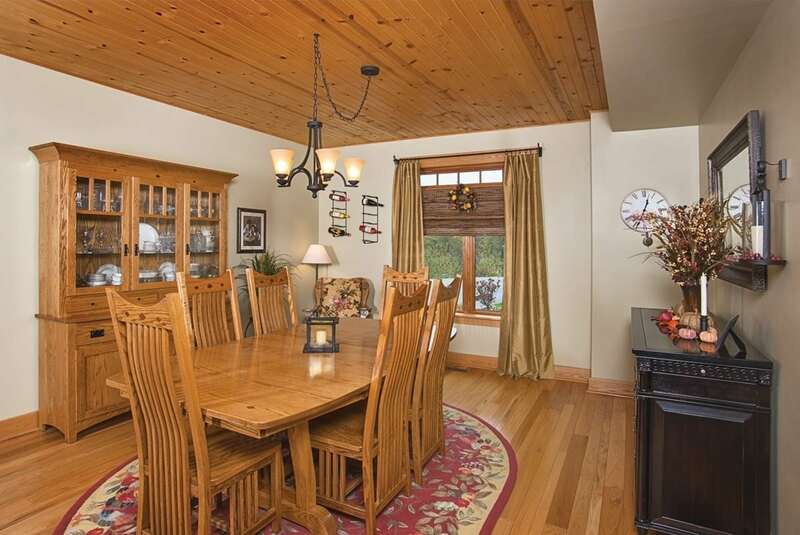 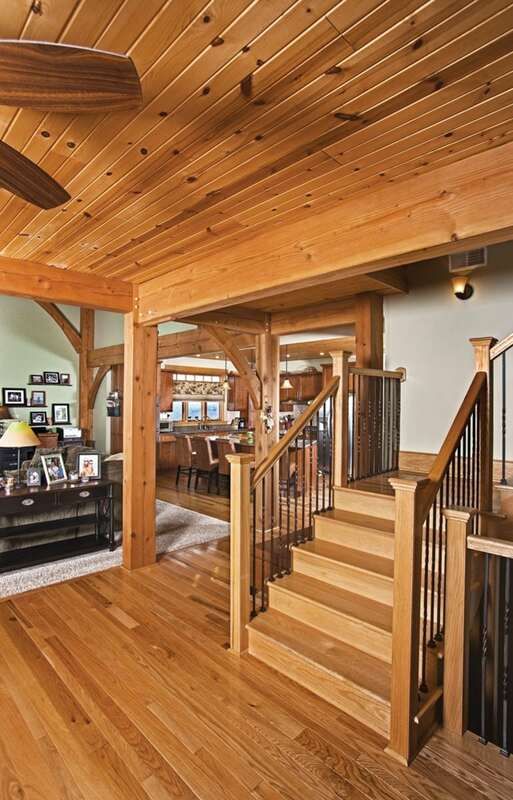 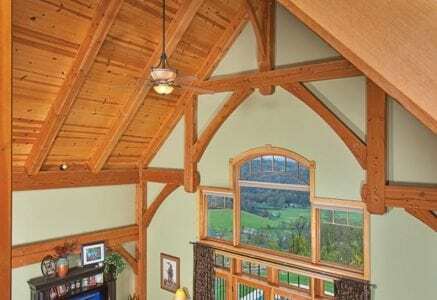 The great room windows, framed by a detailed hammer beam bent, highlight the home’s stunning vantage point. 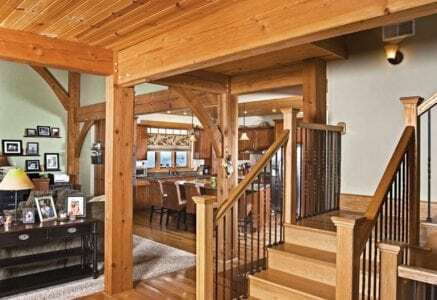 The central core of the home is supported by large, exposed timber rafters that stretch from the loft above the entryway through the main living area where they eventually join the great room’s bent. 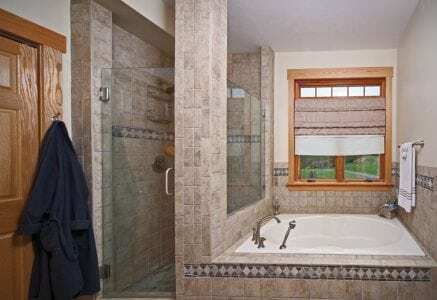 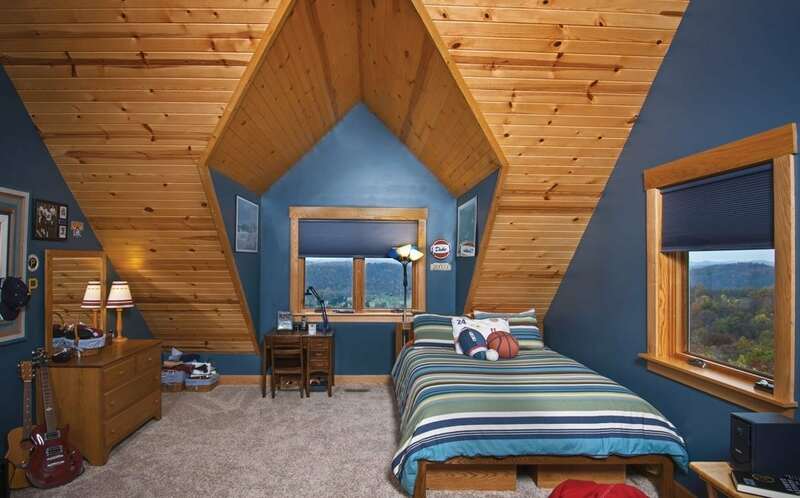 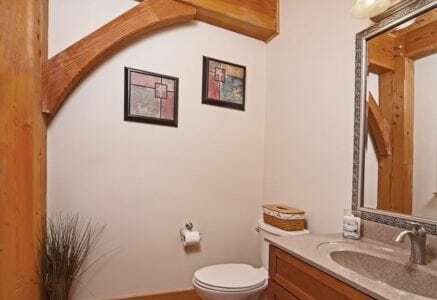 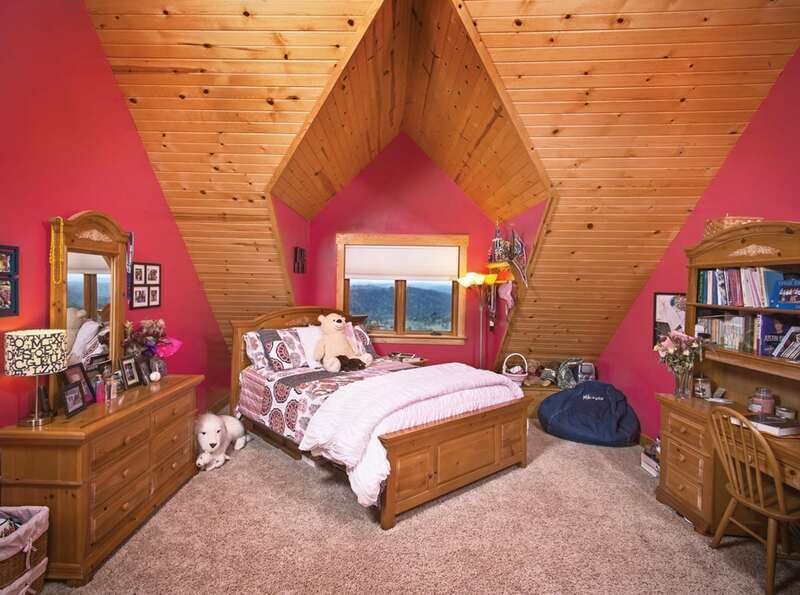 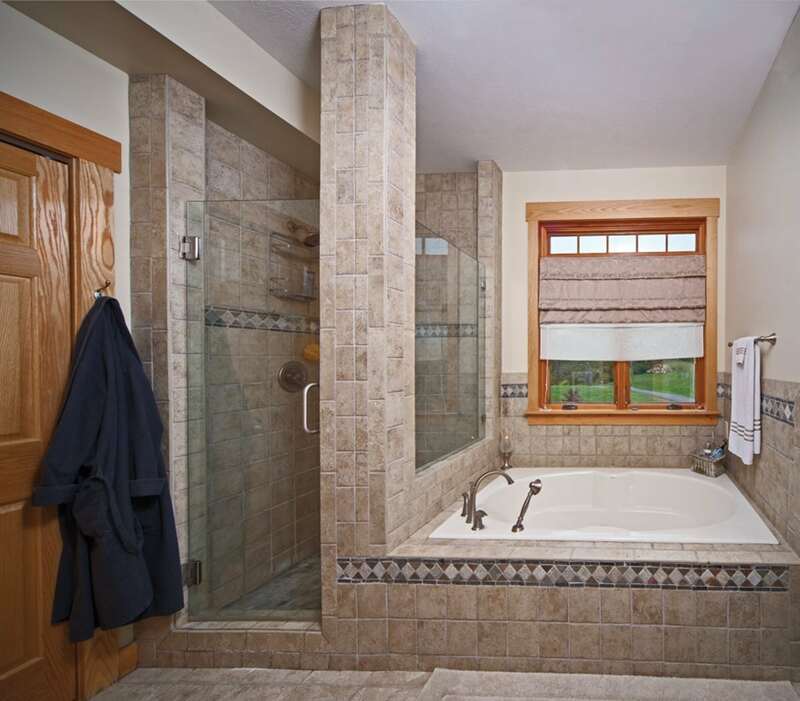 The second story layout was designed to give each of the owners’ children, a boy and a girl, their own distinct spaces. 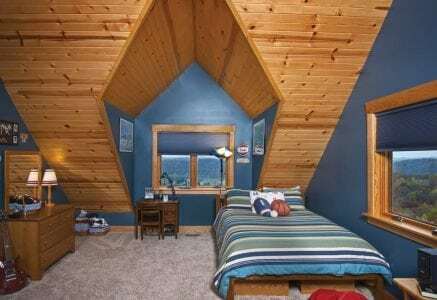 Each room has a large gable window that carves out extra space perfect to tuck a desk or seating area, or anything else the children need as they grow.